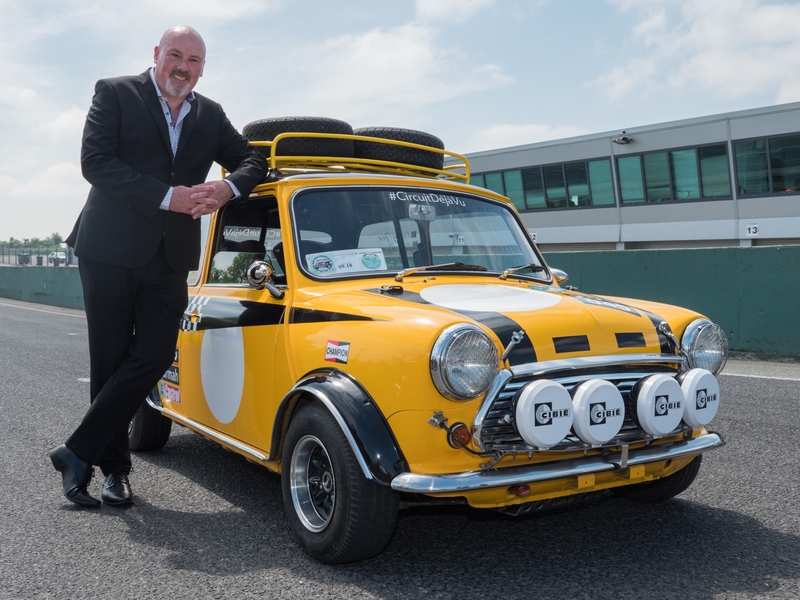 Mondello Park will roll back the years next August 18 and 19 as the circuit celebrates it’s 50 year anniversary at the Historic Racing Festival. And the official launch took place at Mondello last Wednesday, where staff, racing enthusiasts and pressed mingled among the vintage cars, motorbikes and even two airplanes that dropped in for the occasion. Rachel Allen, and her racing driver son Lucca were also present. Local Newbridge photographer Oliver McCrossan recalled the first day of racing in May of 1968. “There were 30,000 people here. People couldn’t believe there was a racing track in Ireland. It was a huge thing!" “We will be offering visitors a taste of yesteryear as we celebrate the circuit's rich history, featuring the finest in Classic Motorcycle and Car Racing, as well as hosting a classic aviation display, both in the air and on the ground,” Mondello Park General Manager Roddy Greene said. The event will feature on-track and off-track entertainment with a Vintage Aircraft display, as well as a lunch time fly-over by some historically important Irish planes, gin and whiskey bar supplied by Glendalough Distillery and even a live Jazz band. Revellers are actively encouraged to come along in their finest 60’s and 70’s outfits to match the 50th anniversary. The car racing action will include classic Formula 2, Formula Atlantic and Formula 5000 cars which must be heard in the flesh to be appreciated. Another highlight will be the return of MINI racing at the Kildare Circuit to mark the first ever winner of a race at Mondello Park, Leixlip man John Keeny in his MINI Cooper S.
The Motorcycle Race programme will be headlined by two rounds of the 'Classic Bike Racing Ireland' championship with a full grid of 30 classic machines. Other four wheeled entertainment will be courtesy of the Historic Racing Car Association, whose 'HRCA Historics' Championship, for 60's and 70's Saloons and Sportscars, will be joined by races for the more vintage Pre '55 series. The Mondello Park Museum of Motorsport will be open to visitors, with its unique collection of rare machinery. The collection encompasses historic vehicles as well as a collection of Formula One cars, including an example of a Benetton B186, the car which gave the team their first Grand Prix victory in Mexico in 1986. Discounted tickets are available to purchase on-line at discounted prices, via the Mondello Park website. 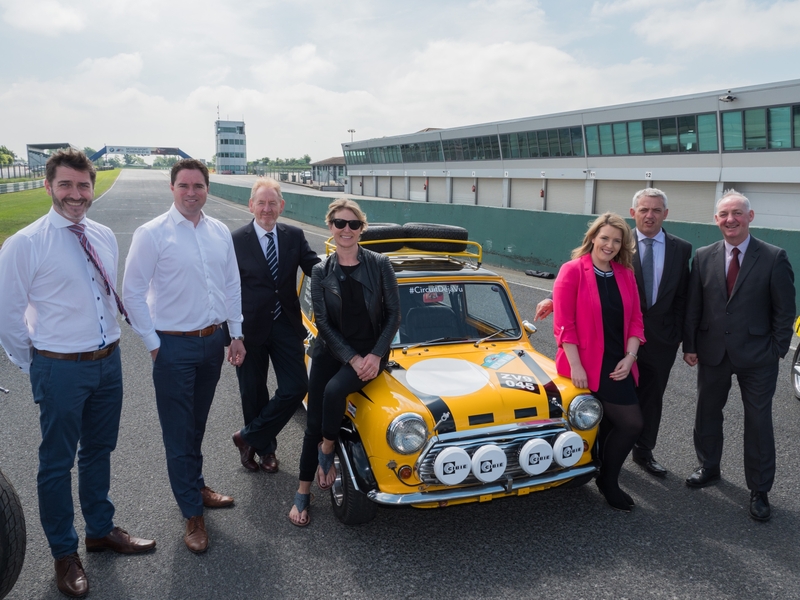 Roddy Greene, General Manager, Mondello, Martin Heydon TD, Alex Sinclair, CEO of Motorsport Ireland, special guest Rachel Allen, Jenny Forster and Allan Shine of Co. Kildare Chamber, and Peter Carey CE KCC: Photos Tony Keane.